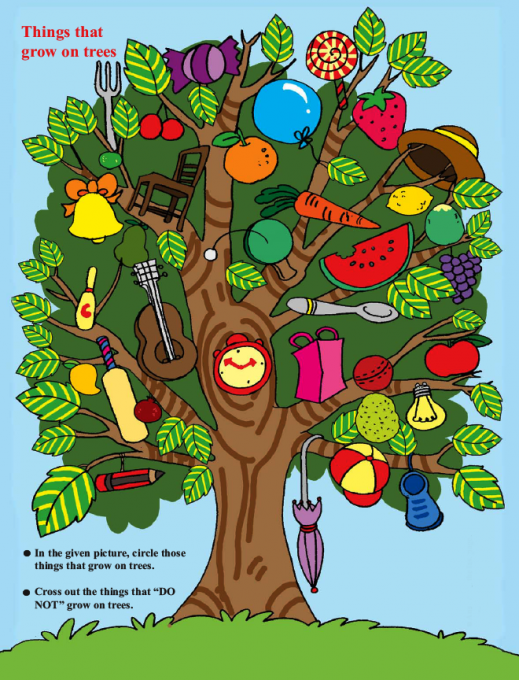 In the given picture, circle those things that grow on trees. Cross out the things that “DO NOT” grow on trees. Rehan is learning about different classes of animals. 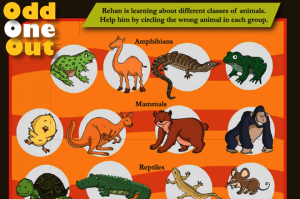 Help him by circling the wrong animal in each group. 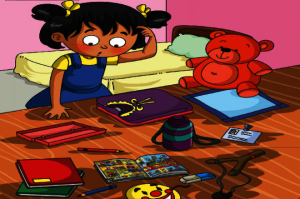 Help Priya pack her bag for her exams. Circle the things that she doesn't need to put in the bag. 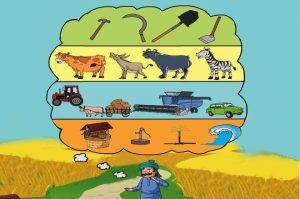 Kishor, the farmer uses many things on his farm. Cross out the thing that does not belong to the category. The shovel-shouted lizard can remain buried deep in the sand for an entire day. It also uses the sand to its advantage to hide and hunt. When the lizard spots a predator, it dives and buries itself in the sand.